Last edited by chocofrappe55; 07-25-2018 at 04:56 AM. SUV/CUVs are the great "design equalizer". Luxury cars (sedans and coupes) used to be able to make fantastic design statements, which more plebian cars could never make. 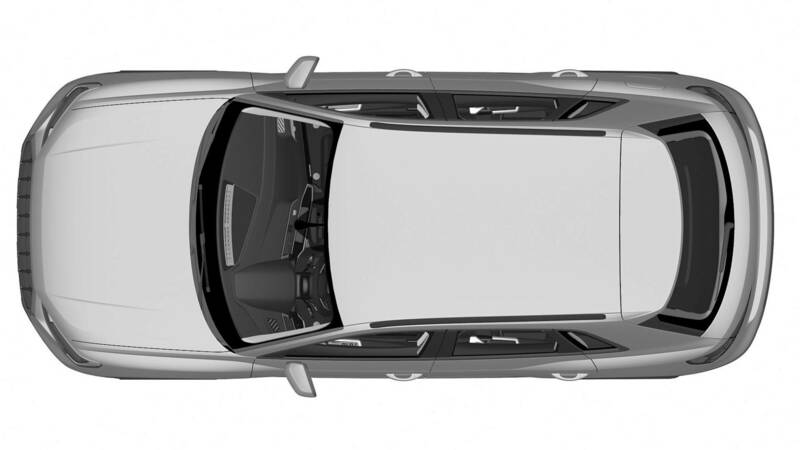 Since SUV/CUVs are typically designed around functionality and having a big boxy rear cargo area, the opportunity for "bespoke" design statement is diminished. All these things end up looking more or less alike (in profile), unless rear cargo area is compromised by "coupe" styling. Even the "coupes" end up all looking the same, though. Considering that the Audi and Lincoln are both luxury cars, the similar shape/detailing is no major sin, on Audi's part. This new Q3 look great! The current one never really felt right to me, for some reason. This new one has to be amongst one of the most improved next gen designs, right along with the current Nissan Rogue. That's true for the most part. 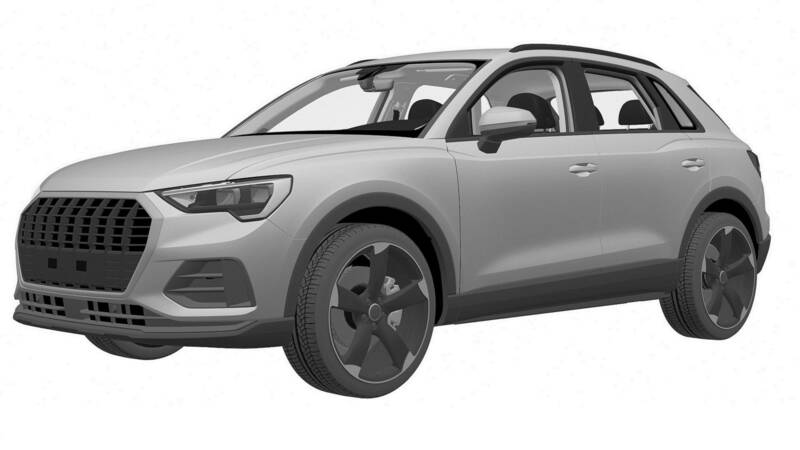 But I think Volvo has achieved a unique look that is instantly recognizable with the XC40. The Mazda CX3 is another one that stands out. Those are the two designs that broke the CUV mold so to speak. Now shoehorn in the 2.5T like they did last time and bring it to the US. INGOLSTADT, Germany, July 25, 2018 – The new Audi Q3 is a family SUV with great all-round talents. In the second generation it appears not only visually more self-confident, but also roomier and more versatile. Just like the Audi top-of-the-line models, it features a fully digital operating and display concept, extensive infotainment solutions and innovative assist systems. They enhance comfort, as does the further developed suspension. The new Audi Q3 will begin arriving at European dealerships in November 2018. The new Audi Q3 looks much sportier than its predecessor. Thanks to the striking Singleframe in octagon design, which is divided up by vertical bars, along with the large air inlets. They characterize the masculine front-end with its intensive play of light and shadow. The narrow headlights run inwards with their wedge shape. Audi supplies them in three versions through to Matrix LED technology whose adaptive high beam intelligently illuminates the road. The side view epitomizes the balance of the exterior design with the symmetrical lighting graphics of the headlights and rear lights. The shoulder line connects them from a styling perspective and provides an athletic overall impression with strong muscles over the wheel arches. The contours draw their inspiration from Audi’s quattro DNA and make the SUV seem even wider; the color-contrasting wheel arch trims emphasize the offroad look. Supported by a long roof edge spoiler, which also flanks the rear window at the side, the steeply raked D pillars of the body line also create an appearance of forward thrust. Taut lines, three-dimensionally styled elements – the interior continues the design of the exterior and echoes in many ways the brand’s full-size models. The architecture harmonizes perfectly with the new operating concept. Its central element is the MMI touch display with its high-gloss black glass-look surround. Together with the air conditioning controls underneath, it is tilted ten degrees toward the driver. All displays, buttons and controls are located ergonomically. The comfortable seats provide a sporty position; the steering wheel is steeply angled accordingly. (5.9 in). Their three-way split backrests in the ratio 40:20:40 can be tilted in seven stages. Depending on the position of the rear seats and backrests, the luggage compartment capacity is between 530 and 1,525 liters (18.7-53.9 cu ft). The loading floor can be adjusted in three levels and the parcel shelf can be stowed underneath the floor if not needed. An electric tailgate, which can also be opened and closed with a kicking motion, is also available as an option. The operating and display concept of the SUV has been overhauled from the ground up – Audi has done away with the analog instruments. Even the standard specification includes a digital instrument cluster with a 10.25 inch screen diagonal, which the driver operates using the multifunction steering wheel. With the top-of-the-line equipment MMI navigation plus, the displays appear in the Audi virtual cockpit, which offers many additional functions. There is also a 10.1-inch touch display. As an option, the driver can choose the larger Audi virtual cockpit plus with three different views, including a new, particularly sporty display. The intuitive operating concept with its flat menu structure is supplemented by natural-language voice control. It also understands freely structured wording. The ingenious dialog manager asks questions if necessary, allows corrections, offers choices and defers to the speaker when interrupted. The top-of-the-line infotainment system in the Audi Q3 offers the same technical functions as in the higher segments. Its data transfer module supports the LTE Advanced standard with integrated Wi-Fi hotspot for the passengers’ mobile devices. The navigation system recognizes the driver’s preferences based on previous journeys, allowing it to generate suitable route suggestions. The Audi connect portfolio ideally supplements navigation guidance with traffic information online, the point-of-interest search and information on parking spaces and filling stations appearing directly in the navigation map. 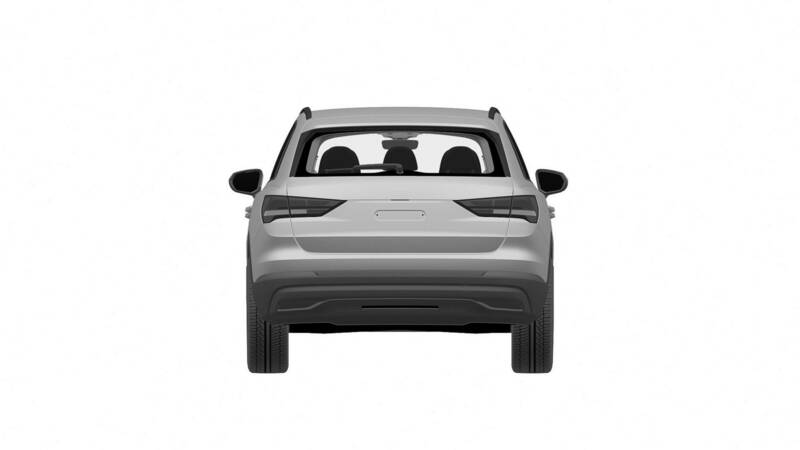 The Audi Q3 utilizes the Audi fleet’s swarm intelligence to forecast the availability of roadside parking space, to provide information on hazardous spots and current speed limits. Other options include Google Earth and the hybrid radio, which automatically switches between FM, DAB and the online stream to ensure optimum reception at all times. The voice control function accesses information stored in the vehicle as well as the detailed knowledge in the cloud to respond. The Audi Q3 is even more tightly integrated with the myAudi app. It seamlessly connects a smartphone to the car. The customer can, for instance, transfer navigation routes and the smartphone calendar to the MMI and locate where the Q3 is parked. A range of hardware modules supplement the infotainment portfolio, including the Audi phone box. It links the owner’s smartphone to the vehicle’s antenna and charges the phone inductively. The Audi smartphone interface links customers’ iOS and Android cell phones and places their Apple Car Play or Android Auto environment on the MMI display. The Bang & Olufsen Premium Sound System with virtual sound provides three-dimensional audio and drives a total of 15 loudspeakers. The adaptive cruise assist is a highlight of the assist systems. It incorporates the functions of adaptive speed assist, traffic jam assist and active lane assist. In this way it assists the driver with longitudinal and lateral control – substantially enhancing comfort on long journeys in particular. The Audi Q3 makes maneuvering easier thanks to the four 360 degree cameras. They show on the large infotainment screen the SUV’s immediate surroundings. Here the driver can also follow the maneuvers completed by the park assist. The park assist steers the car automatically into and out of parking spaces. The driver only has to accelerate, brake and shift gears. If the driver wants to reverse out of a parallel parking space or a tight entrance, cross traffic assist is activated. The radar sensors, which the system uses to monitor the area behind the vehicle, also provide information to the standard-fit lane change warning. If the system detects a vehicle located in the blind spot or approaching quickly from the rear, a warning LED is lit in the relevant exterior mirror. As part of the sales launch, Audi is delivering the new Q3 with four engine versions, three gasoline and one diesel unit in combination with front-wheel or quattro drive. Their power outputs range from 110 kW (150 hp) to 169 kW (230 hp). All engines are four-cylinder direct injection units with turbocharging. They are powerful, refined and efficient. A six-speed manual transmission or a fast-shifting seven-speed S tronic is used to transmit the power. Offroad the permanent all-wheel drive delivers excellent driving pleasure with optimum traction and unshakable stability. Activated at the push of a button, the optional hill descent control maintains the preset speed on a steep downhill gradient. The driver can vary the characteristics of the Audi Q3 depending on the driving situation, road conditions or personal needs using the Audi drive select dynamic handling system with six profiles – from markedly comfortable, highly efficient through to out-and-out sporty. The system also influences the optional suspension with damper control where sensors measure the movements of all four wheels as well as the vehicle’s lateral and longitudinal acceleration and adjust the dampers as required. This results in enhanced driving dynamics with even more comfort. Alternatively, there is the sport suspension – standard with the S line exterior package – with tauter spring/damper tuning and progressive steering. Its ratio becomes increasingly direct with increasing steering angle, adding substantially to the light-footed handling of the new Audi Q3. The equipment, data and prices specified in this release refer to the model range offered in Germany. Subject to change without notice; errors and omissions excepted. U.S. model specifications to follow closer to launch in 2019. New Q3 is almost exactly the same size as the regular Tiguan. Wonder if the Chinese market LWB Q3 will be as big as Tigan Allspace... which is actually longer than the Q5. Could this be the SQ3? 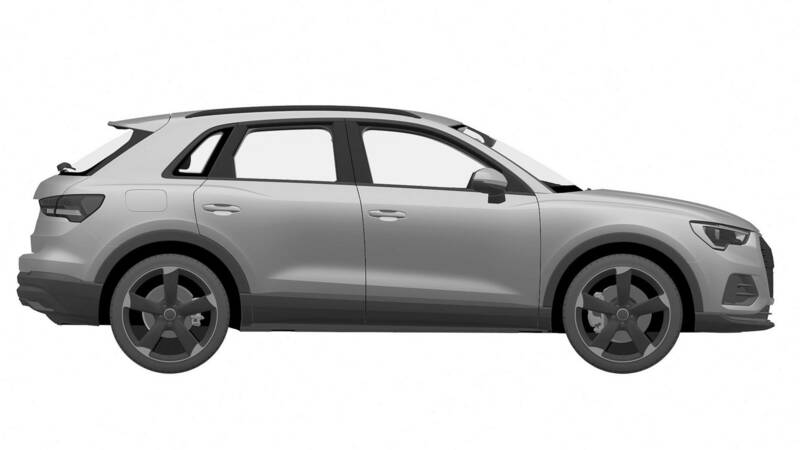 Audi took the wraps off the all-new Q3 a little over a week ago, so why does this patent filing with the small crossover has a recent registration date? Indeed, according to the European Union Intellectual Property Office (EUIPO), the filing date is July 10 and coincides with the registration date, and is to remain valid for the next five years. 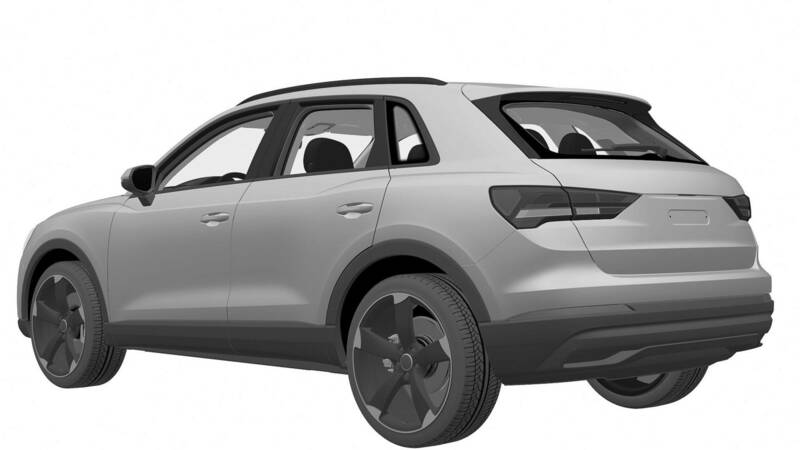 A closer look at these rather dull patent images shows a slightly different design compared to the Q3 models depicted in the official gallery published at the end of July. For starters, the “air intakes” of the front bumper are bigger while the lower grille has been changed as well. 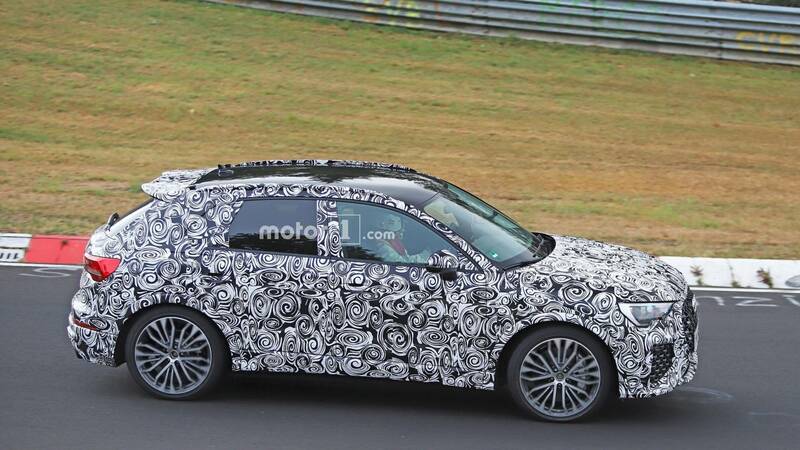 Looking at recent spy shots of the SQ3 prototype, the front fascia designs appears to be a perfect match, which leads us to believe we are in fact looking at the warm version likely slated to arrive in 2019 as a 2020MY. 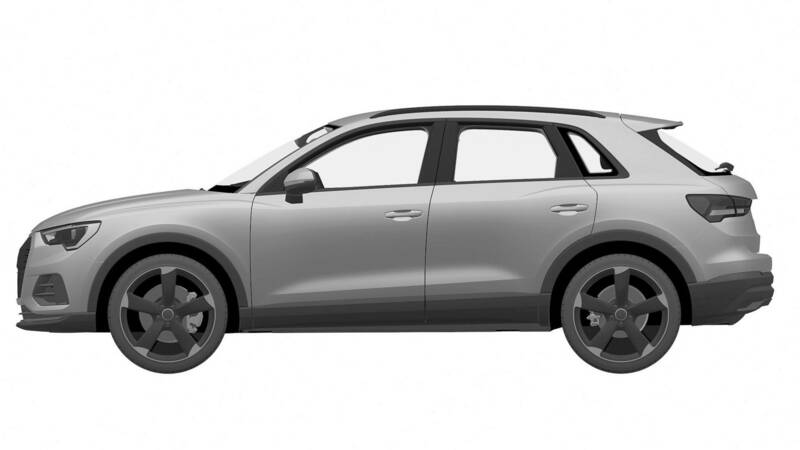 The side profile shows the Q3 riding on what could possibly be the company’s well-known rotor-styled alloy wheels and behind them, the front brakes (at least) seem to be a tad bigger. 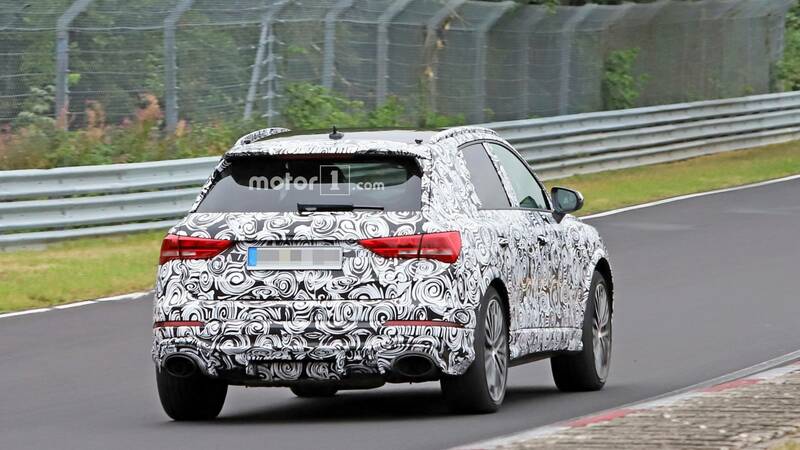 There’s nothing particularly interesting about the rear end, but having seen the latest SQ5 with fake exhaust tips, we’re not expecting anything better from its kid brother. 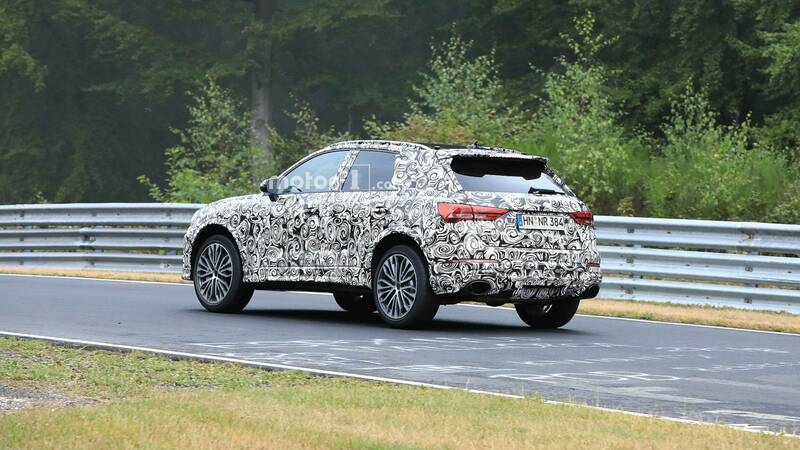 Those prototypes we’ve mentioned of the SQ3 had quad exhaust tips as it is normal for an S-badged Audi, so hopefully, the sporty crossover will have those as well. Whatever these patent images depict, there are slim chances we’re looking at the RS Q3 since the rear bumper does not have cutouts for Audi’s RS-specific pair of oval exhaust tips. In addition, we’re also expecting the range topper to adopt a more aggressive body since this version doesn’t look all that mean. While we can’t pinpoint the model’s identity, the patent images are a sign Audi is working on a slightly more exciting derivative of its posh crossover. At least 400 horsepower is expected from the U.S.-bound hot crossover. Whether we like them or not, performance crossovers are a thing now and likely won’t be going away anytime soon. Some might say Audi is at the forefront of the trend by offering a multitude of tall and fast vehicles, among which we find the RS Q3. 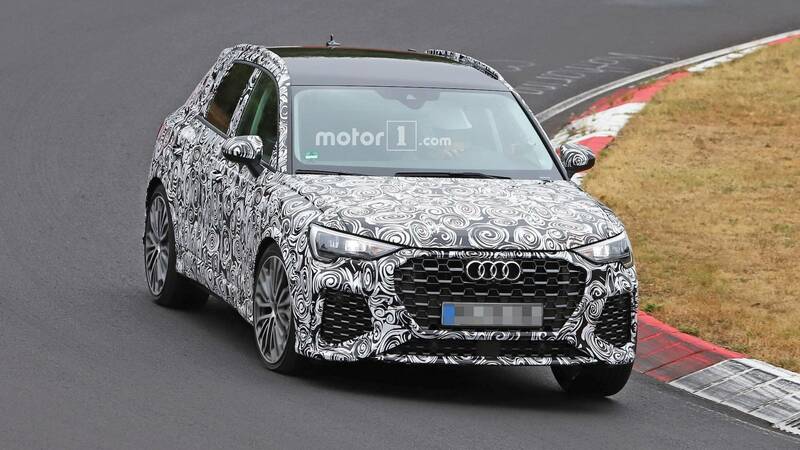 The next-generation was spotted this week flexing its Quattro muscles at the Nürburgring while carrying what looks to be the production body. Aside from the typical oval exhaust tips you’ll find on all RS models, the prototype was exhibiting other traits disclosing its identity. 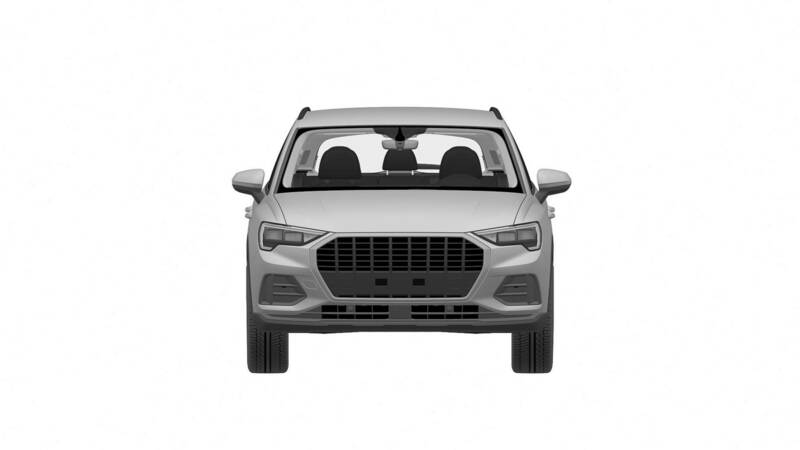 From the big air intakes up front to the large rear spoiler at the back, it’s pretty obvious we’re dealing with the flagship Q3 model. 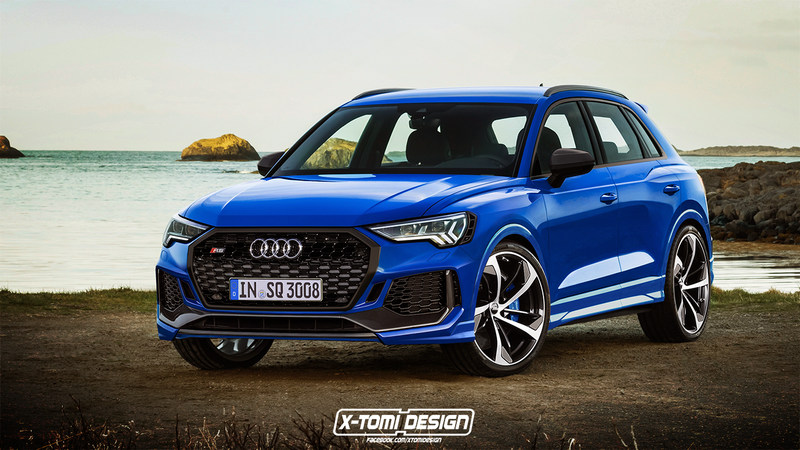 The big wheels and stiffer sports suspension are also signs of a hot crossover, as are the beefier wheel arches suggesting the RS variant will have wider tracks. 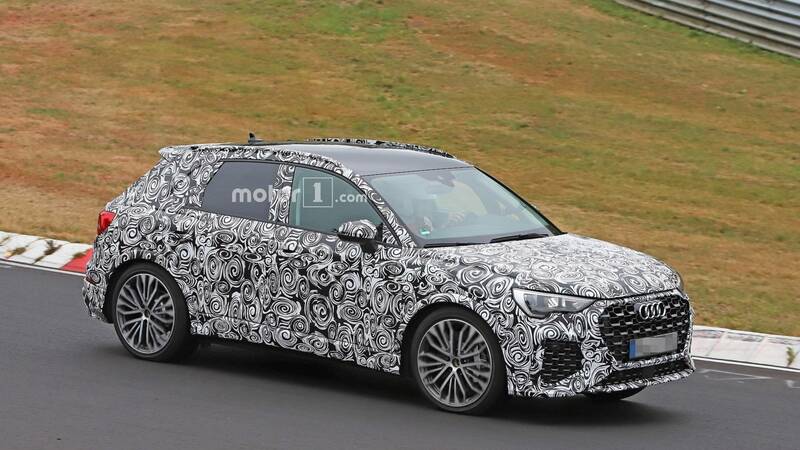 The test vehicle even appeared to have a roll cage, but it goes without saying the production-ready RS Q3 won’t have that. Quattro is a given, and so is a turbocharged inline-five engine shared with the RS3 models and the TT RS. Since in those cars it hits the 400-horsepower mark, we’re expecting at least that from the speedy crossover, which will likely channel the oomph through a dual-clutch automatic transmission. 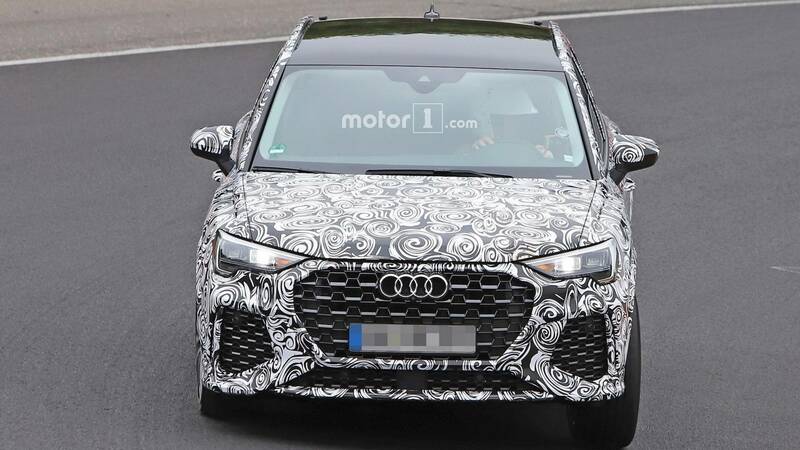 The fact that Audi is already testing production-bodied RS Q3 prototype just three weeks after unveiling the regular model could be a hint the range-topping variant will arrive early in the life cycle. That being said, the first to see the light of production day will be the warm SQ3, which should be out at some point in 2019. 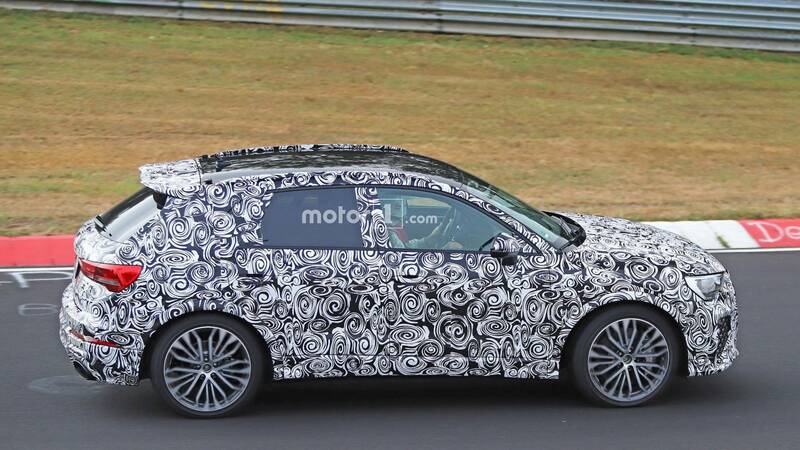 Audi’s RS Q3 could have an equivalent in the vast VAG empire as Volkswagen will reportedly launch a Tiguan R as early as this year, although we’re not so sure it will get the five-cylinder unit as it might stick to the 2.0 TSI from the Golf R.
Looks adorable. Can't wait to see them lowered so people make their own RS3 hatches. Tall stick shifters are found in peasant cars. More upscale cars should have the stubby shifters as it imparts a bit more class. Maybe Audi should change the shifter. It will make it look a lot classier inside. I must say that and SQ3 or RS Q3 could make an excellent Golf R replacement in 5 years. I must keep an eye on this one. The 2019 Audi Q3 is a big step in the right direction for Audi's subcompact crossover, and today we can tell you how much that step costs. It starts at $35,695, including the $995 destination fee. That's just under $2,000 more than the old 2018 model year car that started at $33,875. When we drove the 2019 Q3 earlier this year in Italy, it felt lightyears ahead of the original Q3. With the huge improvement in quality and performance, this price hike isn't so bad after all. The crossover is available in a couple different versions to start: Quattro and S Line Quattro. The S Line trim gets its own bumpers, side sills, 19-inch wheels and badging. Summer tires wrapping 20-inch wheels are optional on top of that. You'll pay a $1,300 premium to get into an S Line. Three different levels of features and luxury are offered, including Premium, Premium Plus and Prestige. This is normal Audi fare, and the Prestige (only available on S Line models) ramps the price all the way up to $43,895. Compared to some of its closest rivals like the BMW X1, Volvo XC40, Cadillac XT4 and Mercedes GLA, the Q3 is right on par from a pricing perspective. All the extra tech and power in the 2019 vehicle makes it all the more attractive. 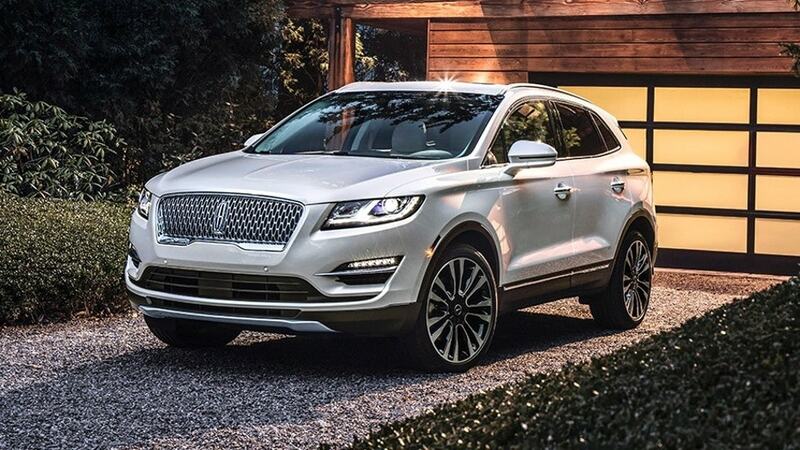 As a reminder, the Q3's only engine option is a 2.0-liter turbo four-cylinder that makes 228 horsepower and 258 pound-feet of torque that gets mated to an eight-speed automatic. Audi is claiming a 0-60 mph time of just 7.0 seconds. Fuel economy and a full specs breakdown is not available at this time, but will be on its way closer to the on-sale date. Despite the vehicle's 2019 model year demarcation, Audi says it won't be hitting dealer lots until the third quarter this year. Until then, you can read our Audi Q3 first-drive review to decide if you'd like to wait for the new, small Audi crossover. Can't even option it above 50K in Canada. Seems like good value. Which transmission does this use? DSG? They did a better job with the Q3 than the Q5. The Q5 is so boring to look at. And it actually comes in 3 interesting colours!